The Gartner Group estimates that in five years’ time one million new devices will be online every hour. These new connections would generate billions of new relationships, lead not just by data, but mainly by algorithms. In this context, the classic sales approach is reversed as is the approach to customer communication. Besides looking for competitive advantages online – through the digitalization of products and services, your company can and should familiarize itself with the new behavior of clients. More than simply looking outwardly, experience has shown us that being disruptive requires organizations to be self-analytic. Specialists claim that it is not enough to monitor or recognize what competitors are doing (including high-tech startups) and try to replicate it. In order to change, it’s essential to question certain aspects of your business before adopting a digital strategy or a complete technological restructuring. By changing companies’ modus operandi, the Digital Era reassembles the basic principles of market dynamics: supply and demand. In practice, this reflects not only a new way of doing things and serving customers – that is, digitally – but a new manner of thinking, which must permeate your company’s entire chain of value, considering both internal (such as your business objectives and culture) and external (such as new product and service distribution platforms) contexts. The research we conducted in 2015 which included some of the largest companies in the country, showed us that one of the main focus points of projects that year was the digitalization of consumer interface. This is not an accident: industries are changing in line with the modification and evolution of people’s behavior. The interactions that people have with new technologies creates a demand for the digitalization of companies. From vinyl to CD, from CD to mp3 players and finally to music streaming apps on mobile phones. Technology has had a great impact on the phonographic industry (as well as record companies’ pockets! ), giving artists and users more autonomy. 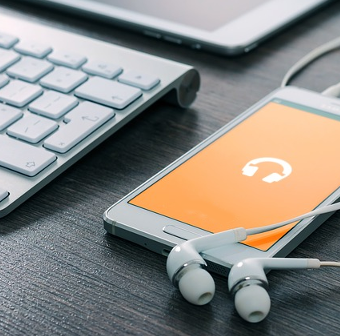 It is now possible to independently make music available on several platforms, allowing for it to be downloaded on any mobile device connected to the internet. What is the common factor between a market which involved around R$40 billion in 2015 and one with almost 100 million people connected to it in Brazil alone? Specialists have already started making estimates surrounding the impact of the internet on the beauty industry in the last few years and the many opportunities found by entrepreneurs (such as the development of apps which help make people prettier, for example). If the behavior of the insured has changed, then the behavior of insurance companies had to change accordingly. From allowing documents to be sent online when customers need to use their insurance to monitoring their customers’ behavior through telemetry in order to change insurance policies, companies have been trying to develop digital strategies in order to keep their customers, who are increasingly more digitally connected. Assessing the value that customers attribute to your business can be done throughout the interaction they have with your product or service. This is no different in the digital world. In fact, a lot of companies make the mistake of calling certain strategies “digital” when they are merely transferring experiences from the offline world to the online world. However, if the nature of the digital thinking is to be different to traditional thinking, then the way in which behavior should be analyzed at every stage of the customer’s interaction with your company should also be different. Besides, understanding this data is key, since it makes it possible to develop actions which are not only reactive but also predictive. Research done by Gartner observed an increase in the use of data analysis solutions by Brazilian companies between 2012 and 2013. In 2016, investing in Analytics is the top priority of executives. This can be explained by the fact that the digital world involves a number of factors which need to be taken into account. Examples of these are social tools, the Internet of Things, digital manufacturing methods, cloud computing, amongst others. How then, do we understand the customer and other market players amongst the seemingly infinite amount of information that needs to be considered? The question isn’t just how to undergo a Digital Transformation but rather why did certain companies manage to change the market and therefore have significant results. Before developing a digital strategy, the team responsible for it must turn to these examples of disruption and to clients in order to develop legitimate solutions.